A database administrator (DBA) is responsible for the overall database integrity of your product. Although the level of responsibility may vary based on the position, some general tasks for a DBA include data integration, troubleshooting, repairs, backups, and monitoring user access. 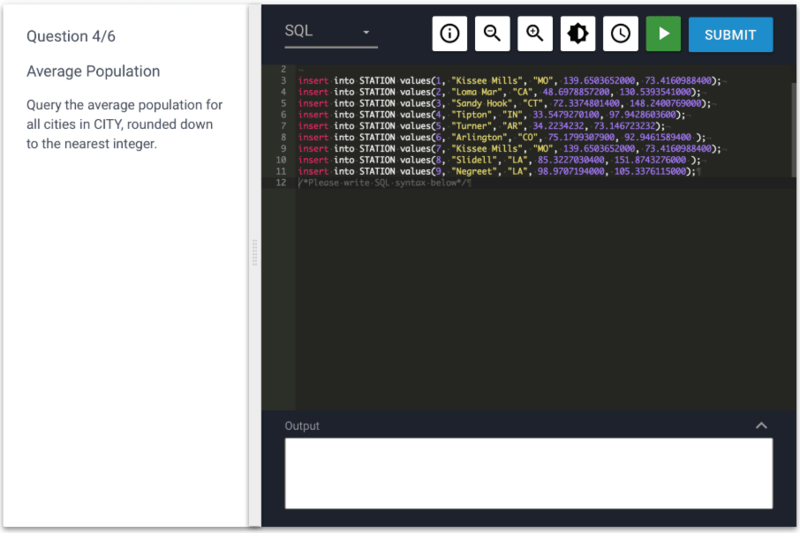 With Filtered, we have developed SQL-based challenges for evaluating your database administrator candidate’s performance. These challenges have a database pre-installed and ask the candidates to write statements in SQL which query it. The experience covers a wide surface area, including data inquiries, api calls, data parsing, and processing. Once the candidate submits their solution, Filtered runs test cases against it in order to determine if the candidate passed or failed the challenge.